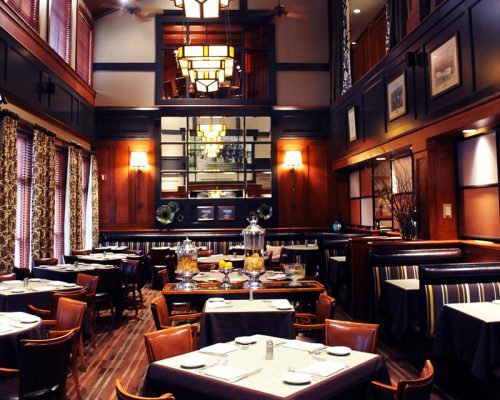 An upscale dining experience that enchants guests with fresh, flavorful Italian cuisine. Located within walking distance of Rockside Station. 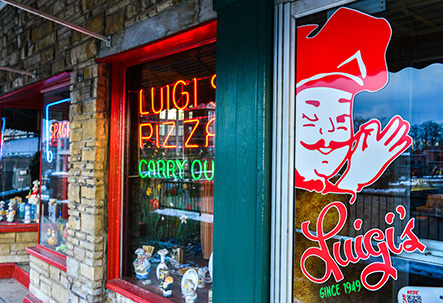 Offers a casual, family friendly dining for over three decades. Menus for breakfast, lunch or dinner. Located within walking distance of Rockside station. Located one and a half miles west of Rockside Station. Located two and a half miles west of Rockside Station. Explore interactive maps and games, learn why a growing nation needed canals and meet people who lived or worked along the Ohio & Erie Canal. Located just under two miles from Rockside Station and is accessible from the Towpath trail. Also a train stop; passengers can deboard with a coach ticket and walk back to the station or board at a later time. Malley’s Chocolates is committed to making and selling the finest chocolates, roasted nutmeals and ice creams. We generate profits for growth by providing the best services to the delight of our customers. Located within walking distance of Rockside Station. The Ohio & Erie Canalway is a National Heritage Area – designated by Congress in 1996 – to help preserve and celebrate the rails, trails, landscapes, towns and sites that grew up along the first 110 miles of the canal. Located within walking distance of Rockside Station. Located with a 15 minute walk of Rockside Station (requires crossing a main road). Relaxed neighborhood chain pub with classic American grub, hundreds of beer choices & sports on TVs. Located within walking distance of Peninsula Depot. Come in and visit this family-owned pub beside the Towpath Trail in Peninsula, where friendly servers have been dishing up burgers, wings, seafood & delicious food since 1958. Located within walking distance of Peninsula Depot. 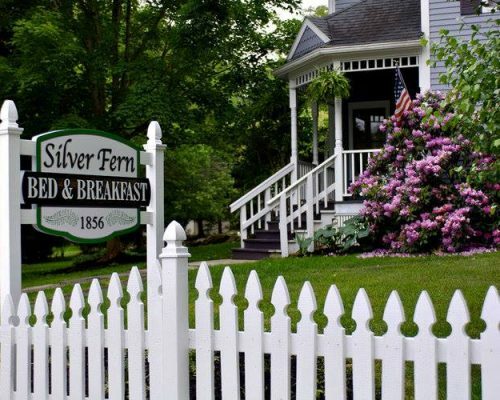 Conveniently located on the doorstep of the Peninsula Historic District and nestled near the Cuyahoga Valley National Park, this beautifully renovated 1874 Colonial bed and breakfast awaits your arrival. The house is available as a high-quality overnight use facility located within the beautiful setting of Cuyahoga Valley National Park. 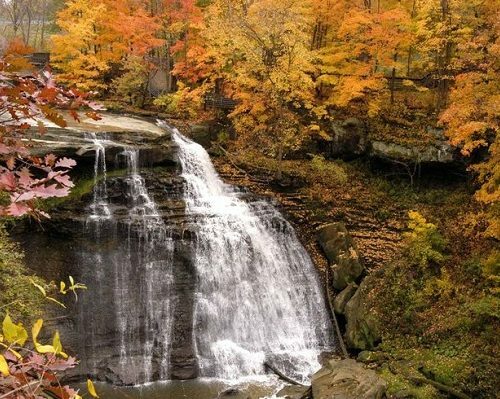 Overlooking Brandywine Waterfall (a 67-foot natural wonder) in Cuyahoga Valley National Park, between Cleveland and Akron, The Inn at Brandywine Falls was built in 1848 and is on the National Register of Historic Places. 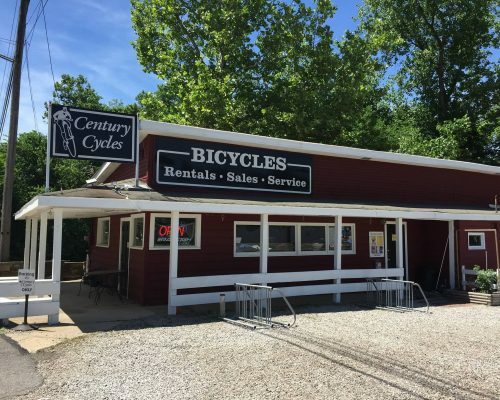 Offers bicycles for rent by the hour. Located within walking distance of Peninsula Depot and the Towpath trail. Features contemporary art & craft and personal care products created by 45+ Ohio artists set in the historic Woods Store building. Located within walking distance of Peninsula Depot. Stop by for a snack and pick up a keepsake to remember your day in the park or a gift for someone special. Sale proceeds directly support Cuyahoga Valley National Park programs. Located within walking distance of Peninsula Depot. Features a unique selection of merchandise for the home and garden, including one-of-a-kind productions from local artists and craftsmen. Located within walking distance of Peninsula Depot. Additional information about the Village of Peninsula. A fine dining restaurant, located in the trendy Northside District, right on the edge of Akron. Within walking distance of Akron Northside Station (does require climbing stairs). Award-winning Italian food in a casual and friendly environment. A unique Italian dining experience. An Akron tradition since 1949. Open 7 days a week for lunch or dinner. Within walking distance of Akron Northside Station (does require climbing stairs). 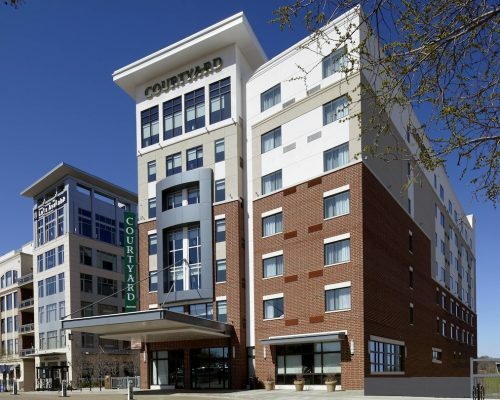 Located directly across from Akron Northside Station, within walking distance. Located within a 20 minute drive from Akron Northside Station. Spanning Locks 10 -16 of the Ohio & Erie Canal, this historic area is a must-see for trail users and history buffs alike. 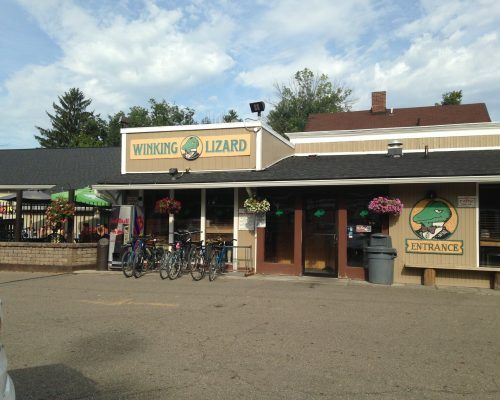 Located within walking distance of Akron Northside Station (requires crossing a main road). The Mustill Store is along bus route (June-October). 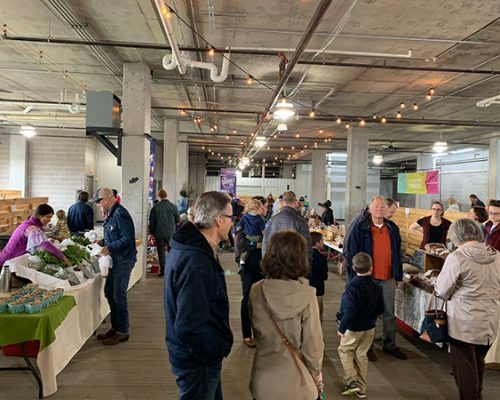 A new year-round indoor farmers’ market in downtown Akron’s Northside District open every Sunday from 10 a.m. – 1 p.m. 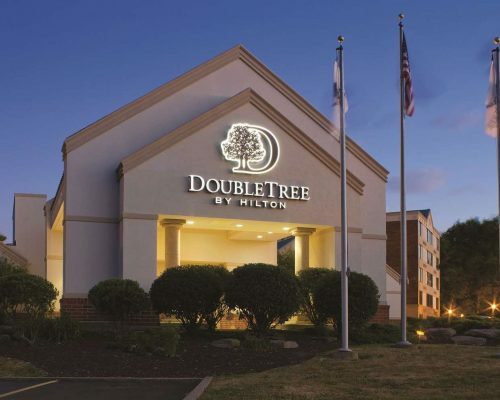 Located directly across Akron Northside Station, within walking distance. 50-acre non-profit zoo located just west of downtown in Akron, Ohio, United States. The Akron Zoo is home to over 700 animals representing over 90 different species. Located along bus route (June-October). Features 20,000 square feet (1,900 m2) of gallery space dedicated to the display of its collection of art produced since 1850. The museum also hosts visiting shows from national and international collections. Located along bus route (June-October). Shop through products from over 35 vendors, hang out with friends or watch a game in the social lounge while enjoying many of the culinary offerings available. Located within walking distance of Akron Northside Station (does require climbing stairs).